Pioneers in the industry, we offer safety net from India. 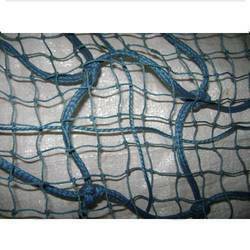 The Safety Net are fabricated from nylon ropes as per the knotted meshes for effective fall arrest function. Safety nets supports heavy load impact. These are extensively utilized to offer excellent safety to personnel at construction sites as these are manufactured in such a way that these provide cushioning and absorb the impact of heavy weight. Available in all sizes and shapes as per user requirements.